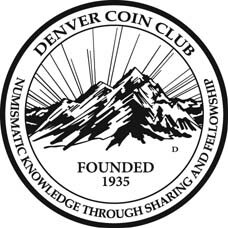 Coin Collecting Resources - A site with many different informative and educational links. A great educational site for teachers and students! A suggested addition by a student from Advantage Academy. Thank you Emma!! Information on the Internet about coins and collecting is abundant. Here are just a few recommended sites. American Numismatic Society The ANS is another important member of the American (indeed, international) numismatic scene. They also have a nicely organized links page with extensive entries. Lots of research can be done here..
Exonumia & More A great site for collectors of numismatic exonumia - check it out!! United States Mint The official website of our government's money maker. The U.S. Mint site has lots of information on current programs and you can order items on-site. The Coins of Colonial and Early America A project of the Gore Numismatic Endowment. Lots of information on early US numismatics. Plenty of higher level material worthy of perusal by researchers, etc. COINLINK Coin Collecting A very informative and up to date numismatic information source. Lots to look at here. Spend some time on this site!! U.S. Silver Coin Weight Conversion A site to do calculations on the value of your United States silver coinage. Neat Site... check it out... Great if you're wanting to buy or sell "junk" silver coins.